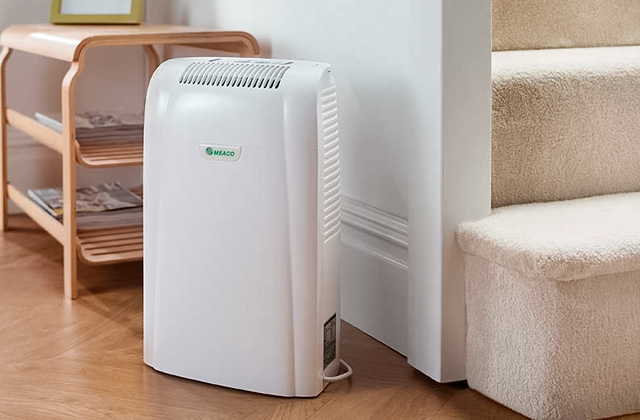 Enhanced stability of the heater thanks to the option to fill the base reservoir system with water or sand. Offers great mobility thanks to the wheels at the base. 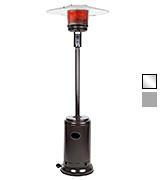 Hands down, one of the best patio heaters that can be wheeled to any corner of your yard. Gas (propane, butane), requires 9 kg gas tank. Regardless the fact that the heater requires assembling, this process will neither take much time nor cry for tech skills. Lacks wheels for easy transportation. The patio heater will provide comfort and warmth for all those who often sit late in the backyard or hold outdoor parties. Not only is it possible to adjust the height of the heater but you can also angle its heating element to make the unit face the area you'd like to warm up. Some users claim that the base in not sturdy enough. 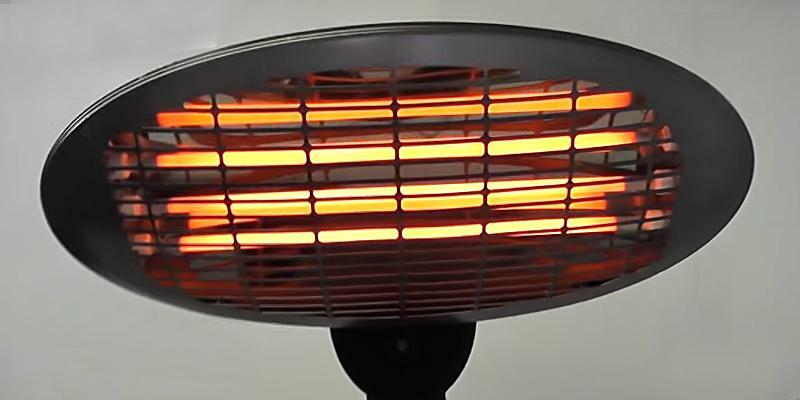 The Firefly patio heater is an excellent device for the price. It will warm several people easily and give you the feel of summer evenings for a long while. 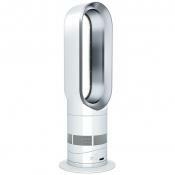 The patio heater can be controlled with a remote, allowing users to take control over the unit without leaving a bench. The bright light may be annoying to an eye. This heater is designed for both home and commercial use, thus you can install it not only in your patio or garage but also mount it to the ceiling in a restaurant if needed. The heater doesn't take much place due to the wall mountable design. 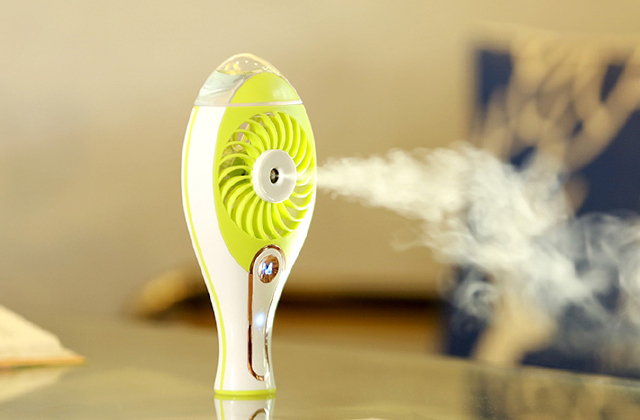 If you are looking for a high-performance heater for occasional use and at a reasonable price, this Firefly device will totally meet your needs. This gas heater from AmazonBasics is one of the best patio heaters for outdoor use among the models reviewed. 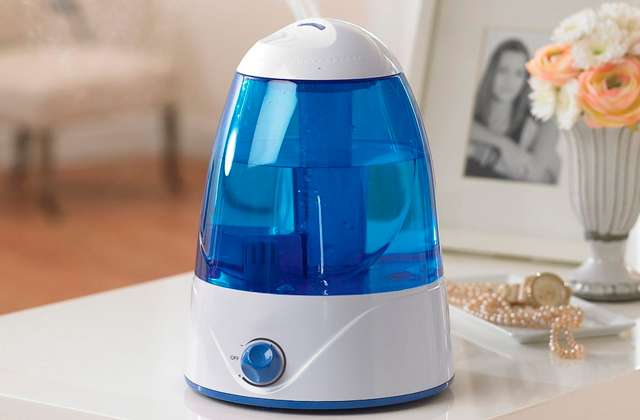 The heater runs on both propane and butane gas, thus you will have several options of fuel to choose from. It produces up to 46 000 BTUs and offers soothing warmth to keep you and your guests comfortable and relaxed when it's chilly and damp outside. So, if you are planning an open-air party or just want to read a book on your terrace nothing is going to stop you if you opt for the AmazonBasics outdoor patio heater and install it near a table or your favourite armchair. Thanks to the Variable heat control you can set the desired temperature by turning the control knob on the heater's housing. 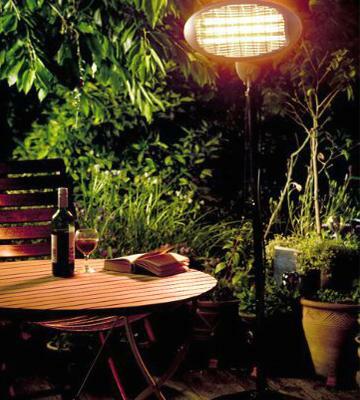 Owing to a great range of temperatures, this outdoor patio heater can easily be used all year round. The manufacturer has designed this patio heater with user's safety in mind and incorporated many useful features to avoid dangerous situations. Even if you happen to trip over the heater, it will automatically switch off thanks to the auto shut-off tilt valve. Yet, we daresay, tipping the unit over isn't going to be easy too, due to the option of filling the unit's base reservoir system with water or sand. The AmazonBasics patio heaters offers users great portability thanks to the 2 smooth-rolling wheels, so whenever needed, it can be easily transported from one location to another. The outstanding gas heater has surprised us not only with its high productivity but also with pretty sturdy and reliable construction. 14 000 Watts output, along with a wide radius of the heat spread, allows the Marko outdoor patio heater to warm up a big company of friends, giving you no reason at all to end parties sooner than you'd want to. Like all gas-fueled heaters, this one is also distinguished for its fast heating time and effective temperature maintenance. What we also like about all gas patio heaters is their mobility since they don't require a connection to a power point and therefore, can be installed literally everywhere. With regards to the unit's controls, everything here is pretty simple. Just turn on the ignition and twist the adjustment knob to set the optimal temperature. The only downside of this heater is that it doesn't have wheels, and if you needed to move it to a different location, it would have to be carried in hands. 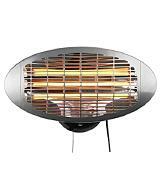 The OL1822 patio heater from Firefly company is an electric infrared heater with a quartz heating element which can be used both indoors and outdoors. The main advantage of all infrared heaters is that it takes them mere seconds to reach high temperatures and start to generate heat. They also don't waste the heat on warming air but direct it right on the objects, saving you on the energy bills. 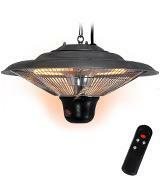 The Firefly model is one of such heaters that offers customers a lot of advantages. Firstly, the entire construction is adjustable throughout the height and can be set to warm the needed area. 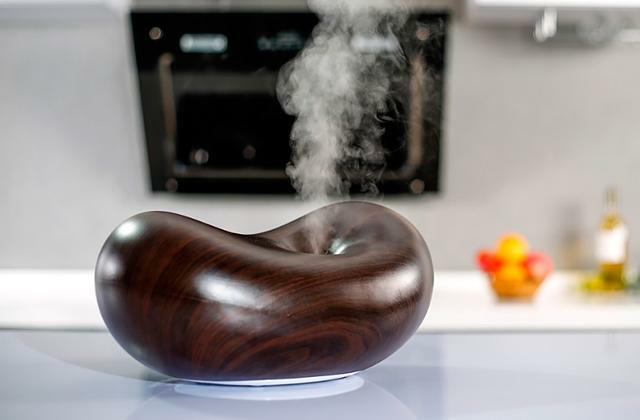 Secondly, it features an adjustable heating element that can be tilted within 45 degrees up and down. This means it will efficiently warm the desired space regardless the place of installation, be it your home or backyard, without the heat loss and extra consumption of energy. The safety features of the OL1822 patio heater include a solid base for enhanced stability of the unit and over-heat protection allowing its automatic switch-off. The Futura FUTOHFPH patio heater is a smart solution that will come to liking to those customers who value the comfort and convenience of use. 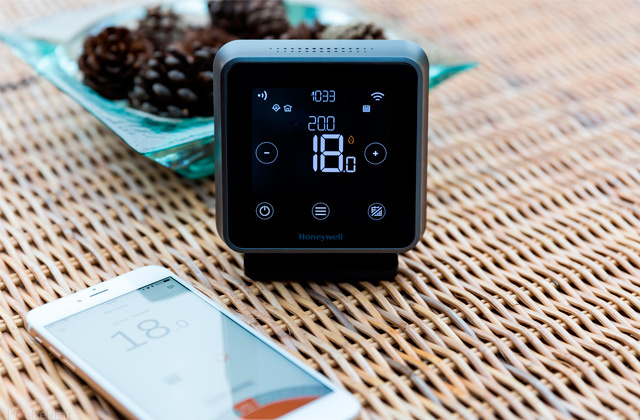 Designed to be a ceiling-mounted heater, it allows users to take control over its settings via a remote control that comes included in the package. 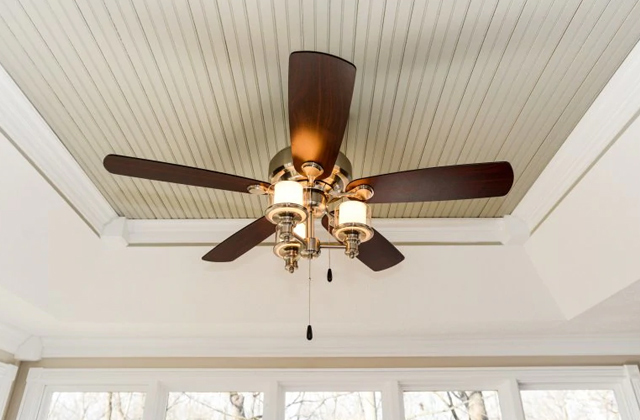 This makes it a handy option for outdoor use, to hang from the ceiling on a porch and activate it only when gathering there with your family or guests. The effective heating range of the Futura FUTOHFPH makes 9 sq.m and allows warming a small- to medium-sized veranda. 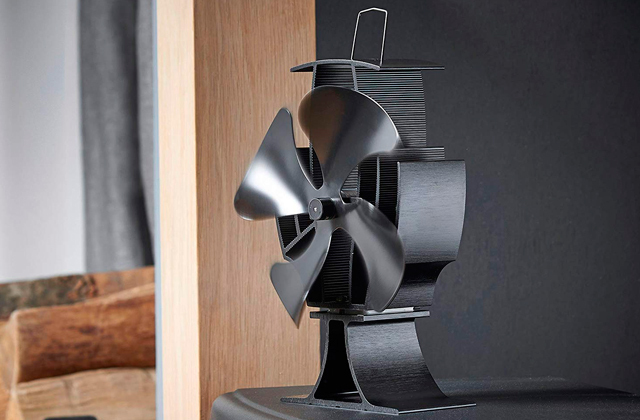 The heater can also serve as a lantern providing soft illumination to create a cozy atmosphere outdoors. The IP34 rating of the heater speaks of its weather endurance and allows its setting literally in any environment. Taking into account the features and size of this heater we'd recommend it to all consumers who need a small but efficient heater to keep always outdoors, like for example, on a porch, in a garage, etc. 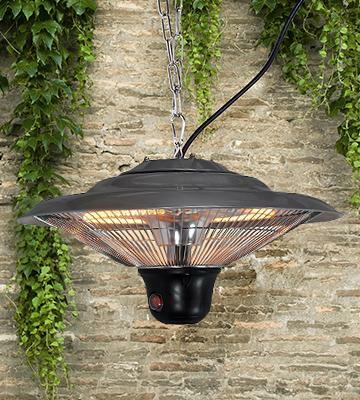 The Firefly infrared patio heater is an excellent wall-mounted model with a quartz heating element. The manufacturer has thought out every detail to make its appliance not only safe-to-use but also user-friendly. Let's have a look at some of its specs. 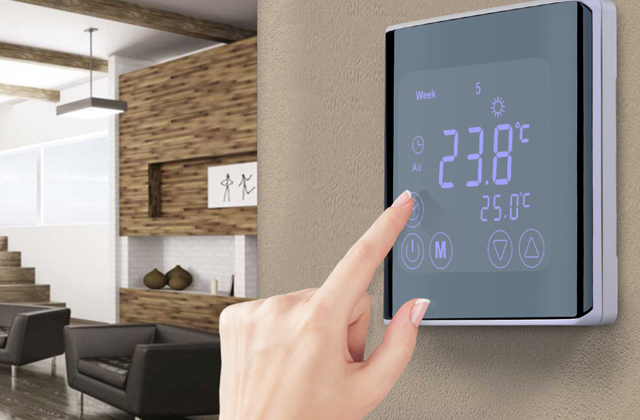 The heater is IPX4-rated, meaning its installation isn't limited to indoor use only. The housing, though, isn't totally waterproof, and when fixing it outside, it's important to find a place for it with a shelter, like for example, under the roof. Rather than that, there are no more issues and it can safely be used all year round. The heating element here is quartz which is commonly considered the most durable and reliable one with a long service life. 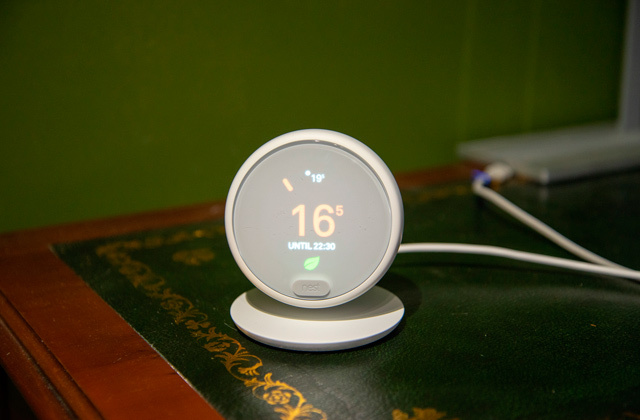 The heating settings are adjustable too, like in many other similar appliances. 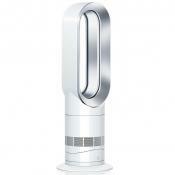 In spite of the small size, the heater can also be angled to face a certain area to warm up, which is handy if you have a proper place to gather up with your family. 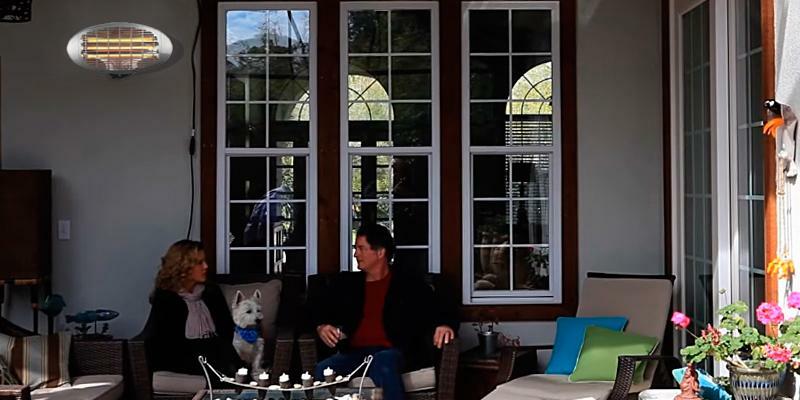 A lot of people love spending time outdoors and patio heaters is a great way to gather your friends around and stay up till late even in early spring. Without making fires, you’ll extend the time outdoors and enjoy long talks and barbeque in a nicely warmed veranda. Once you buy a patio heater, you’ll be able to spend more time on your patio all year round. 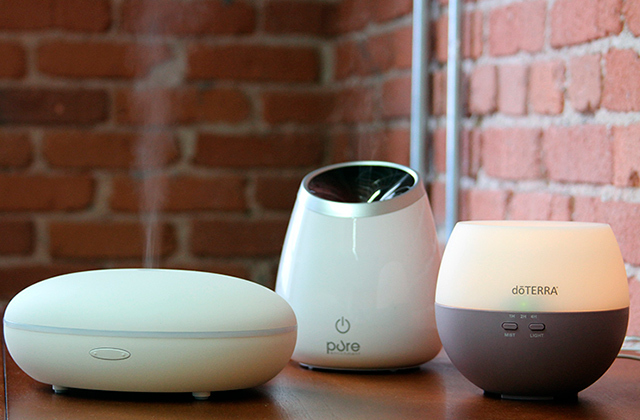 When looking for a patio heater though you may encounter with a few choices. We’d like to help you out and highlight only the best patio heaters available on the market. The owners of patios should also give justice to having outdoor & camping grill. They make up for a truly enjoyable day in a big do with delicious barbeque. 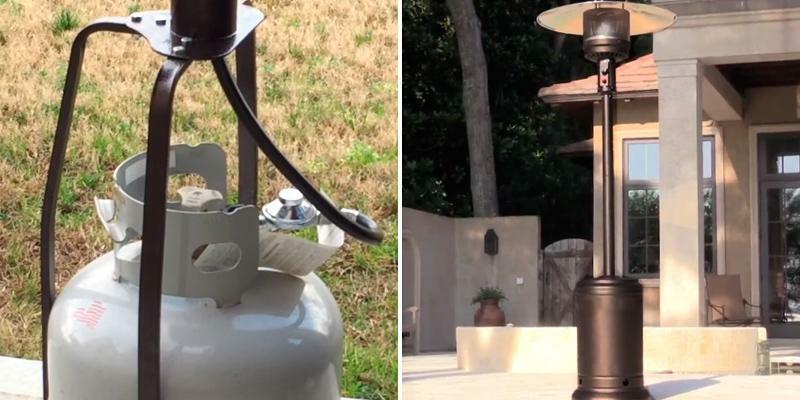 If you’re looking for a patio heater, the first thing to consider is the fuel type they use. You can choose from among three available options - electric, propane and natural gas. Electric patio heaters are very easy to maintain, they don’t produce any exhaust emissions, but require installation near the power outlet. 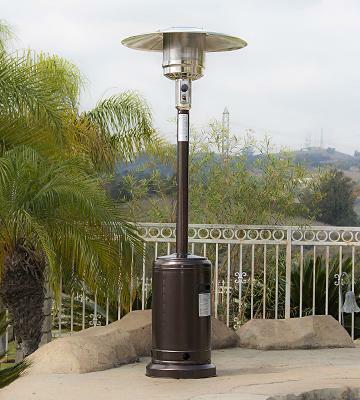 The patio heaters that use natural gas or propane are more mobile in this sense and can be placed literally everywhere. However, you will surely need to have a few tanks to keep the fuel at hand. Some patio heaters radiate infrared rays, heating the objects around instead of the air so that they give up the heat and maintain the right temperature. There are halogen and quartz heating elements used in the heaters. Both generate the heat similar to the sun but without ultraviolet spectrum. They are not flawless, though, so you may need to decide which one is going to work better for you. Halogen light often affronts the eye while the quartz elements need replacement every 2-3 years. 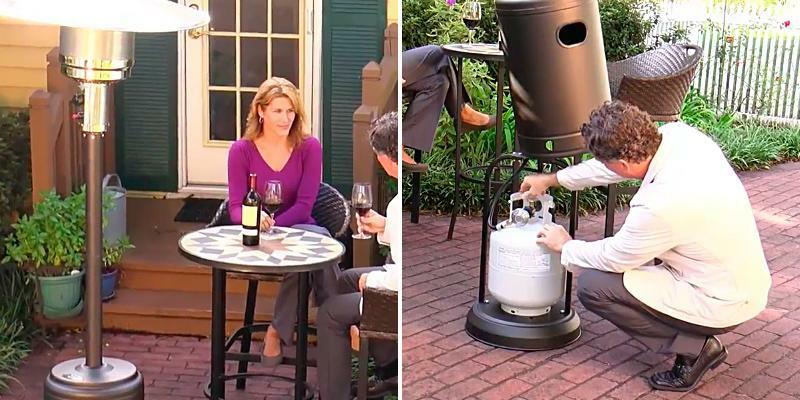 You can place a patio heater anywhere. There are models that can be set right on the table. Others can be mounted to the wall or hung up to the ceiling (a good option for those who don’t plan to move them quite often). There are also floor patio heaters available. 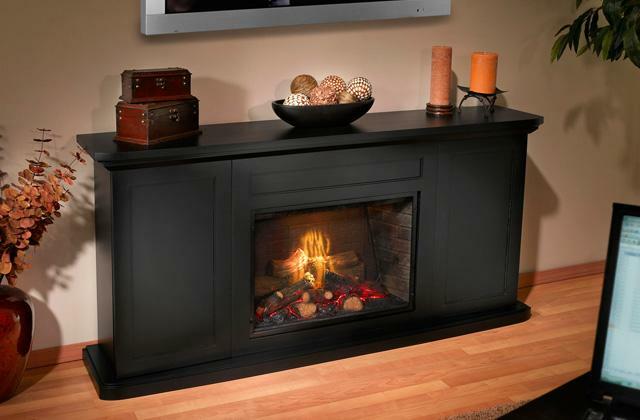 These models are bulkier in size and designed for heating large areas. 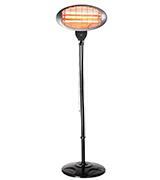 You should also consider the output of the chosen patio heater. The higher this index is the bigger area the heater will warm up. If you’ve made your mind to buy a propane or gas patio heater, consider BTUs per hour. The output of electric units is measured in Watts. A successful formula of choosing a good heater is 100 Watts per 1 square meter. For the convenience of use, pay attention to such things like heat regimes, flexibility of fuel feed and fuel tank capacity. One of the most important things to pay attention to is the safety of use. 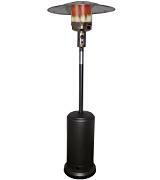 The obvious attribute of a decent patio heater is certification from testing associations such as UL and CSA. Electric patio heaters are recognised as safer in use as they don’t require any additional combustion products. Gas and propane patio heaters should be equipped with a vent to stop the fuel in case the unit accidentally flips over. 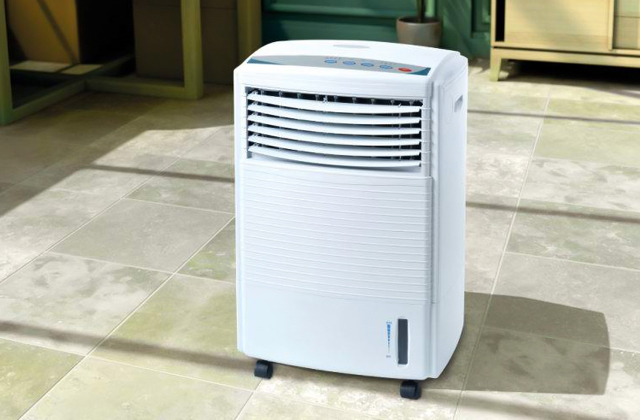 Large floor patio heaters on wheels are more convenient to move and place in different locations. Heaters with piezo ignition will dispose you of the need to use matches or lighter. There are no equal patio heaters and each model boasts its own peculiarities, so the choice is for you. 1. 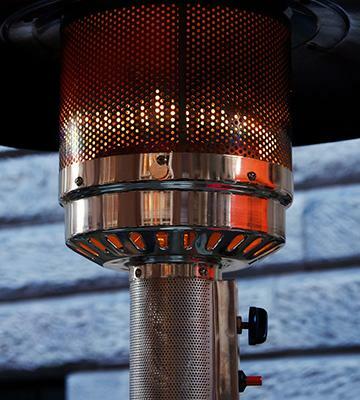 How to Choose the Right Outdoor Heater for Your Patio, Houzz. December 22, 2012. 2. Cate Morgan-Harlow How to Choose Patio Heaters, BuildDirect. 3. 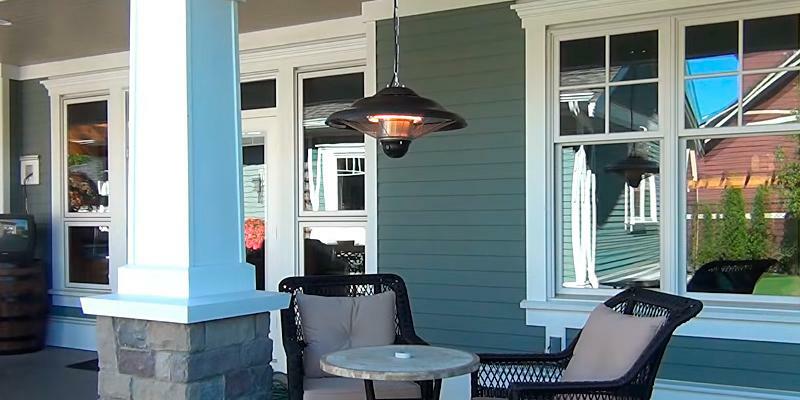 Jennifer Noonan Keep Cozy in Cool Weather with an Outdoor Patio Heater, Bob Vila. 4. 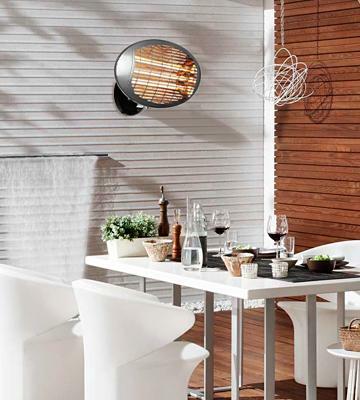 Patio Heaters: Buying Guide, Woodland Direct. 5. Infrared Heaters: Pros and Cons, Air & Water.